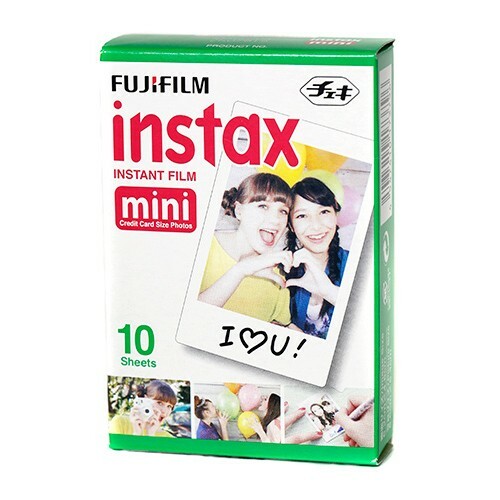 Fuji Instax Mini Film 10 Pack- For Fuji Film For instax mini 7, 8, 25, 50, 90 Cameras, ISO 800 / Works Well in Low Light, Daylight Balanced / Glossy Finish, Credit Card-Sized Film Format, Ultra Sharp for a High-Speed Film, Vibrant Colour Reproduction, Fast Development Times, Enhanced Stability , Retail Box , 1 year Limited Warranty. Fuji Instax Mini Film 10 Pack- For Fuji Film For instax mini 7, 8, 25, 50, 90 Cameras, ISO 800 / Works Well in Low Light, Daylight Balanced / Glossy Finish, Credit Card-Sized Film Format, Ultra Sharp for a High-Speed Film, Vibrant Colour Reproduction, Fast Development Times, Enhanced Stability, Retail Box , 1 year Limited Warranty. 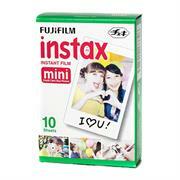 This is a 10 shot pack of Instax Mini Picture Format Instant Film from Fuji. This is an incredibly sharp, credit card-sized, daylight-balanced ISO 800 film made for use in Instax mini Series Cameras. Recognized for its excellent colour reproduction, the film has a glossy finish and is an excellent choice for general use, portraiture or even with electronic flash. It's also a fun film to use – easy to load, shoot and best of all – no wasted time at the lab wondering how your images came out. Due to its “mini” size, it is easier to carry, file and store when compared to larger, more traditional film formats. Please Note : The instax mini” film is for all instax mini cameras and comes in a handy cartridge. 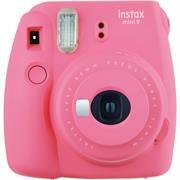 It offers stunning instant pictures that you can fit into a purse, wallet or mini photo frame. 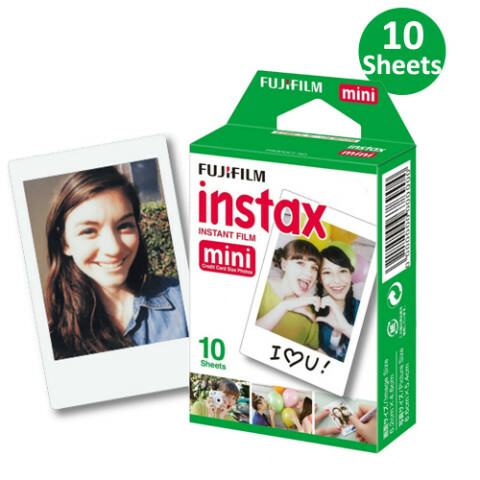 instax film ensures sharp, clear reproduction, vivid colour and natural skin tones. •QUALITY Hi-Speed ISO 800: With superb grain quality, Instax Mini Film ensure vibrant color and natural skin tones. •ITS YOUR MOMENT: This Films are Credit-Card Size - 5.4 x 8.6 cm (film size) - The unique credit-card sized film is easy to carry in your purse or wallet and has that classic white frame that you can leave blank or personalize with fun messages. •DEVELOPS INSTANTLY: Capture your moments and enjoy the picture right away. all you do is, Press the shutter, capture the moment, and watch the photo slide out and the image develop in front of your eyes!